CLIENTES LAS 24 HS DEL DÍA. 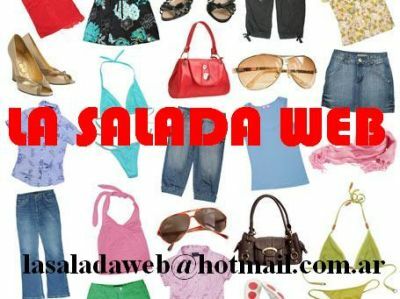 AHORA, YA PODÉS CARGAR TU PEDIDO DESDE NUESTRA TIENDA VIRTUAL, QUE CUENTA CON CATÁLOGOS COMPLETOS DE ROPA DE DAMA, DE HOMBRE, NIÑOS Y CALZADOS... Y EL NOVEDOSO SISTEMA DE COMPRA POR CARRITO, TE REGISTRÁS COMO USUARIO Y DE INMEDIATO, PODÉS EMPEZAR A LLENAR TU CARRITO... ASÍ DE FÁCIL!!! ¡¡¡ADEMÁS, TENEMOS ROPA PARA TALLES ESPECIALES!! !